Ermias Davidson Asghedom — better known as rapper, businessman and philanthropist Nipsey Hussle — was killed Sunday, gunned down in front of his own Marathon Clothing Store in his hometown of Los Angeles. Two others were wounded. Hussle was 33 years old. Hussle’s acclaimed 2017 Victory Lap was nominated for a Grammy in the best rap album category. 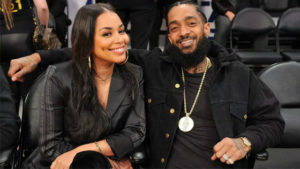 He is survived by his two children and girlfriend, the actor Lauren London. The best we can do is keep his memory alive the best we can. For Nipsey. For Mac Miller. For Tech 9. For Tupac, Big L and Biggie before them. And far too many others. Learn his lessons. Give back. Believe in ourselves. That’s their legacy, and the real victory lap for Nipsey Hussle.